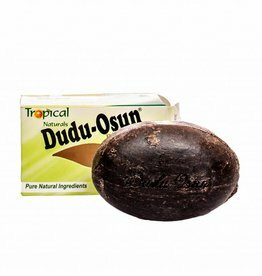 Dudu-Osun black soap-SOAP handmade in Lagos (Africa). 100% natural SOAP consisting of natural ingredients from the tropical rainforest and savannas. No artificial fragrance, color or preservatives and the SOAP is biodegradable.